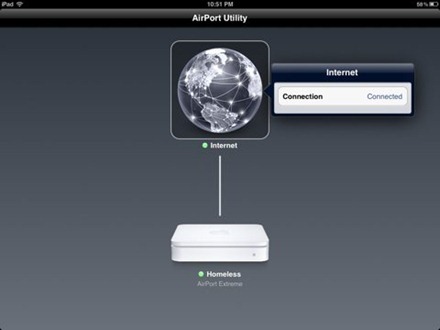 This week’s pick is AirPort Utility, one of the many new releases from Apple this week. 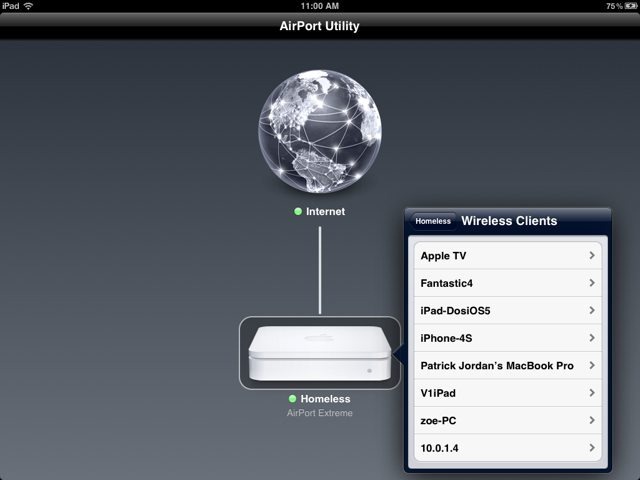 It’s an excellent utility app for managing your Apple-based wireless networks, routers, and wireless devices. It supports all Apple 802.11n Wi-Fi base stations, including AirPort Express, AirPort Extreme, and Time Capsule. Use AirPort Utility to manage your Wi-Fi network and AirPort base stations, including AirPort Express, AirPort Extreme, and Time Capsule — right from your iPad, iPhone, or iPod touch. See a graphical overview of your Wi-Fi network and devices. Change base station and network settings, or manage advanced features such as security modes, wireless channels, and more. It took about one minute for AirPort Utility to instantly become my favorite way to look at and manage my simple home WiFi network. It is just much nicer than just doing things in a browser. And it looks great as well. I’m not sure how well it serves for those managing bigger or more complicated wireless networks, but for a typical home network this is a great tool and allows you to manage everything you need to. Here’s an App Store link for AirPort Utility.